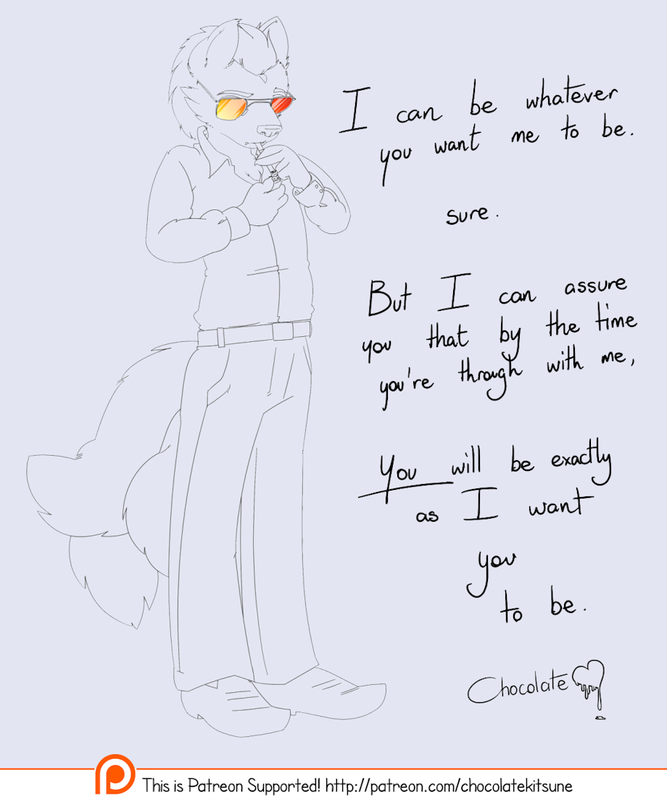 I've been spending a lot of time fleshing out Chocolate's character and background, so much so that certain things have become somewhat off-limits for him; out of character, basically. So I felt the need to make an antagonist to Chocolate, to fill in those gaps a bit. This is him. Would you like to get to know him a bit better? I'm sure he'll find a use for you.